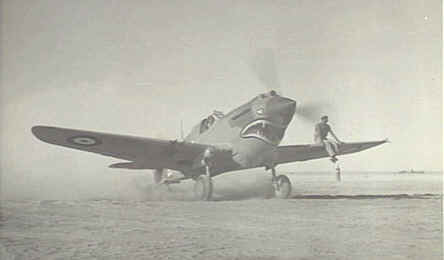 Photo is of a 1686 Flight aircraft based at Hixon UK in 1943. 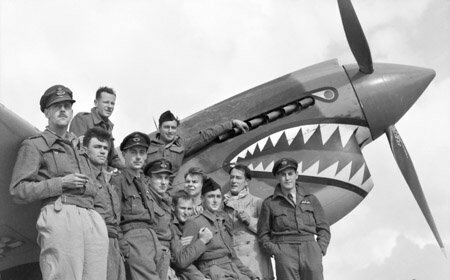 If you look at the pilots I think you'll find one from each of the commonwealth Countries (or at least of those countries on the Unit at the time). 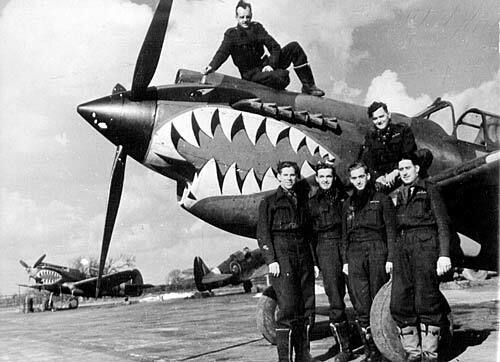 Also take a look at what little of the Cam scheme you can see, you'll notice its very dark (i.e scheme of Green/Grey the "shark" nose art in one of its many forms. Thanks Buz for the photo information. 1686 Flight Curtis Tomahawk and crew on the runway at Hixon Military Airbase. 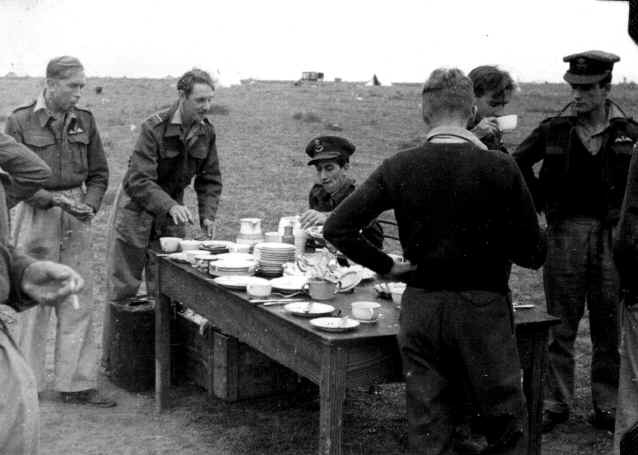 Built for use during the Second World War, the airbase was later used for the storage of surplus R.A.F. vehicles. January, 1942, Caldwell (Forage Cap), Sgt. 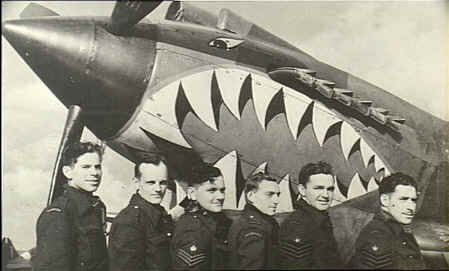 William Edward Carson, Sgt Andy Taylor on wing, P/O Neville F Duke (Forage Cap), Humphreys (Forage Cap) Henry George Burney (on wing hand on exhaust), Roy Arthur Drew arm folded in front of Sgt A T Donkin wearing wedge cap behind him unknown , Rudolph Maurice Leu and Flt Lt E Dickinson The Carson boys where brothers. 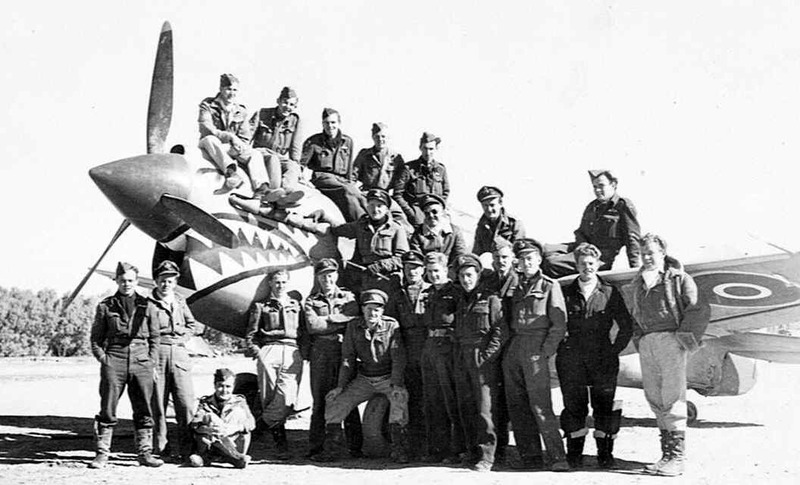 Tripoli, February 1943, Seated on Kittyhawks engine left to right WO WD "Canada" Brown, "Molls" Lamont, Reg Wild, Bill Money, Ken Middlemist. 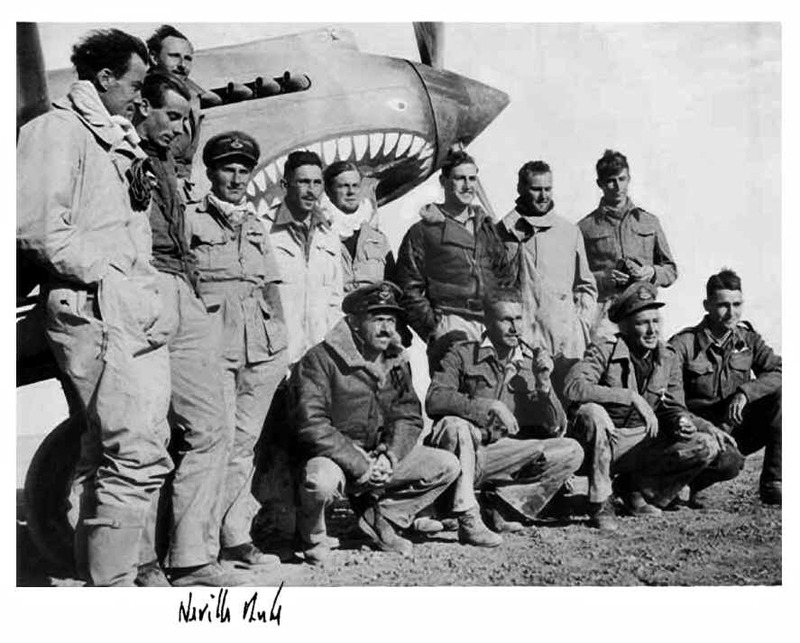 15 march 1943, Naffitia, Tunisia, 112 Sqn Officers and NCO aircrew after claiming their 200h aerial victory. 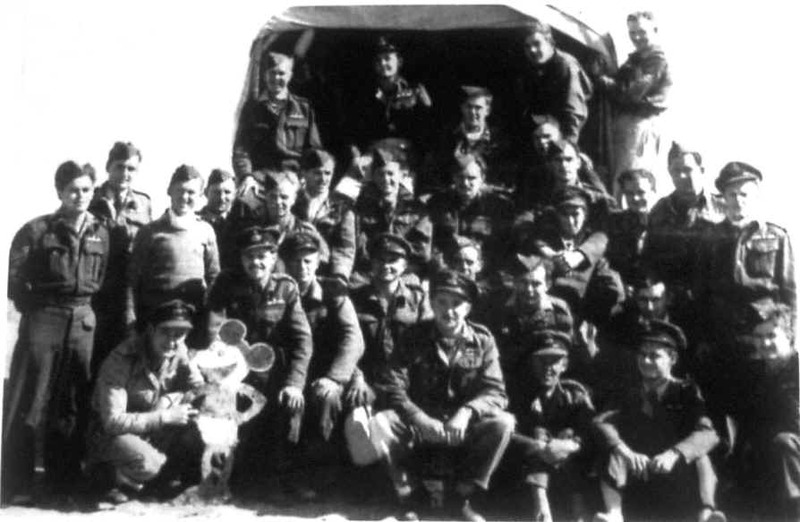 Back Row left to right Plt Off John Alexander Burcham, Fg Off Leonard "Len" Henry Cherry, Flt Sgt Wilfred David Brown, Flt Sgt Micheal Hugh Lamont (top), Sgt Reginald Albert Wild, Sgt John Henry "Red" McDermott.